Four our 2014 salons we're tickled to be partnering with Kelly Connolly, owner of Nimble Well, to utilize her collection of vintage and beautiful tabletop rentals. Kelly's a 2013 Forth alum and we were eager to partner with an individual that really understood the mission behind what we're doing. We were oh-so-glad she signed on to style out our salons, as her pieces - linens, glassware, china, silverware, cake stands, platters, vases and more - all aid in creating a beautiful setting for an intimate evening of dining and conversation. Today we're showcasing some of Kelly's collection that brightened up our spring salon. We chose a color palette that and seemed perfect for the season - blues, greens, and yellows, oh my! But more importantly, we're also taking a peek behind the curtain at Nimble Well, getting to know the business & the lady who runs it. You founded Nimble Well in 2012, and last year transitioned into this as your full-time gig. Tell us a bit about what encouraged you to take that leap of faith to grow Nimble Well and go out into business of your own. What have been some of the biggest hurdles you've had to overcome in the past few years? In the fall of 2012 I knew I just had to go for it. In the spring of 2013 I built up a small collection and I hired a photographer to take pictures of 5 different tablescapes with the small collection I had and I built a website around that. My collection was tiny and I knew it had to grow, but I needed to have clients to know how it would have to grow. I just had to keep taking small steps forward. It's been a series of get clients-get inventory-clients-inventory to fund the growing inventory. My inventory is growing in a way that will make it a true rental collection, not just a group of things I like or one couple would like. Getting my own space out of my apartment was a big step. I had to have a place that clients can visit and also to keep some physical separation between home and work. I was just out of room, too. There were a lot of things I had to learn. I had no experience in the event and wedding industry, so I had to figure out who the different business were, what they did, who I would like to work with -- and would work with me. I spent a lot of time online before I even met anyone, and I then I was lucky to find some very friendly people who didn't hold it against me how tiny and raw my business was. In the beginning I did a lot of "eye training" on wedding blogs and Pinterest to see what was going on in wedding style and where my business could fit in. I originally knew nothing about vintage glass or any of the things that are in my collection now. I spent a lot of time in the resale world and looking at pieces online to start making sense of it all. I've built my own categories around things that I like, what my clients like, what is possible to find, or what is a good investment. I definitely invested in more things in the beginning that I liked (but clients did not) and I would search for just about any special requests from clients, even if it wasn't likely to be rented again. I'm a lot more careful with how I expand the inventory now, mostly from experience. Where do you find the majority of your vintage pieces? Any pieces go straight into your personal not-for-rent collection? My home and my collection are pretty separate. My car is the main place they mix, and I feel a lot better to have that separation. My rental inventory can't go in the dishwasher, so that nixes most of it for home. I get asked a lot about where I find my stuff, and I wish I had a more succinct answer. It's a mix of resale shops/yard sales/estate sales/flea markets/online/private sellers/pickers. I have certain places or people to go to for certain kinds of things, but many of my finds, like cake stands, are a one-time find at a certain place and then I'll never see one at that place again. What materials, pieces, or collections have clients been asking you most for this upcoming wedding season? This year blush and gold is the big hit, so I've been building up those collections. Brass is definitely more popular than it was in the past. Overall the trend in vintage is less rustic (Ball jars and burlap) and more refined, so it doesn't necessarily come across as "vintage." We love your new Labor of Love blog series! Tell us a bit more about what inspired it and what you have in store for us next! My most recent post featured Sarah Drake and I'm working with a baker and wedding planner right now on a future post. I'll be starting to follow several more businesses in May when the wedding season really picks up. There is a lot of anxiety about the cost of weddings. And not just from the couple spending the money. There's anxiety about buying a house and all kinds of big purchases, but with a buying a house--you get a house--the investment is tangible. People are getting married and still finding it meaningful to have a wedding. But they're getting married later and paying for their own weddings, and now a wedding can be any kind of event that the couple wants, reflecting their personal style. So there's more choice and more pressure to make good decisions about what to do and how much to spend, which means that couples have to think through every aspect of their wedding, every purchase and service, to determine whether it's good for them. And there's many different businesses that couples can go to for finding a version of what they're looking for at many different price points. Because of the volume of small and large decisions that have to be made people get decision-fatigue, and can get cynical about what they're paying for. The purpose of the Labor of Love series is to show the work of wedding professionals. Maybe it will help explain the cost to couples making choices about their wedding. I'm basically saying, "Here's what you're paying for if you go with this kind of professional. Here is the work involved." And you also see the people doing the work, and I think that re-frames it from being just another purchase. The work looks easy when it's done well. And it's easy to take for granted what people have done to make it appear so easy. Nimble Well shares a studio space with Sarah Drake Designs. Can you share one way think your businesses and you as creatives have benefited from co-working? What are 1-2 challenges of a situation like this as well? The best part of sharing a space with Sarah is that I don't feel like I'm working all alone. I'm someone who can spend a long time by myself and not feel lonely, but it's really nice to share the office with Sarah because she has a separate businesses in the same industry and can share information, successes, and frustrations. Sarah has worked for herself for a lot more years than I have and she's a parent, which is in my plans, so it's inspiring to have a good example of how it all fits together too. One challenge for me is that my office visits are by appointment. Some people don't realize that I'm not in the office all the time and occasionally they'll stop by when I'm not there and Sarah is and she has to figure out what they need. 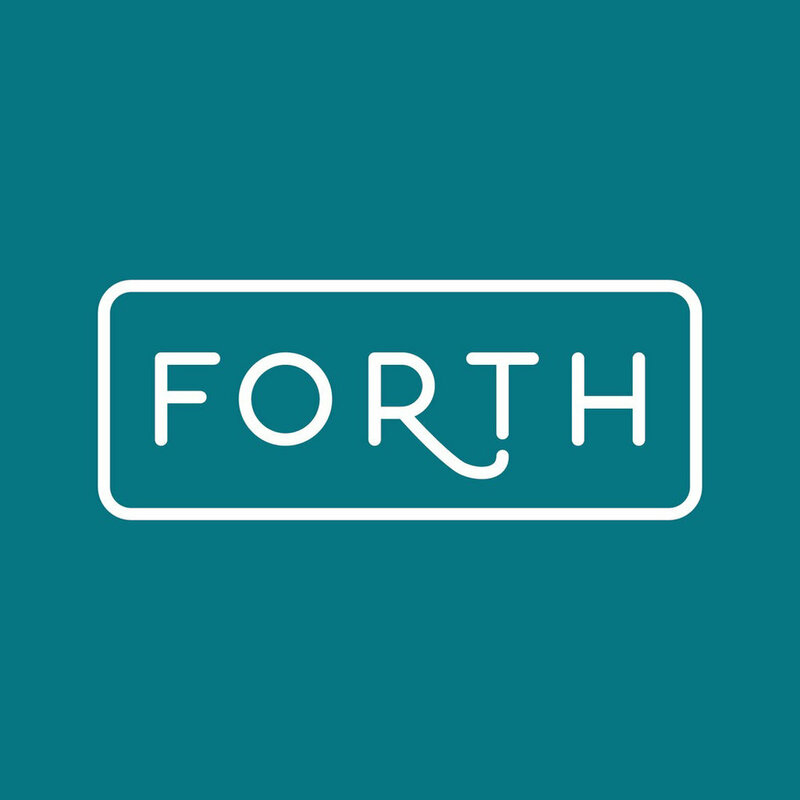 What made you interested in partnering with Forth? I like the open-ended nature of the group. I was a little puzzled about it first, I thought that there might be some kind of sell at some point, like a weekend at a hotel where you have to sit through the timeshare presentation. I like that there isn't a pitch and there really isn't any monetary purpose to the group. It's women doing good, interesting work getting together to talk about things that are important to them. I love art, spending time in nature, and got a degree in something that isn't technically useful, so I think this structure is perfect. What goals do you have for Nimble Well in 2014? What would be your dream event/client to work with this year? The number of weddings and events I will do this year is a big jump from last year, so my goals are mostly about refining my processes to handle the workload smoothly. I am collaborating with a few local non-profits on their fundraising dinners and events this year and I'm excited about that. I would love to do some outdoor dinners this summer--with restaurants, one-time events, farm dinners. And there are some photo shoots in the beginning stages of planning that I'm looking forward to--also outside. That's what I'm excited about right now: doing things outside. What about Nimble Well are you most proud of? When it's thought of as a real thing by other people, and it feels like something separate from me, and I see it's growing there is a relief from the usual white-hot panic. When I'm proud about Nimble Well, it's something like the feeling of having figured something out. But most of the time it feels like Nimble Well is just the name I call what I do every day, and if I stop, it stops. Thank you Kelly for sharing openly and honestly about your company, how you've grown, lessons you've learned, tips on sharing a studio space, and more. It looks like you have an exciting year of unique events ahead and we can't wait to see what gems you pull out of your collection for our summer salon!